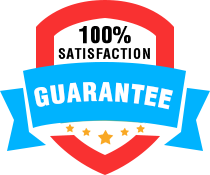 We guarantee 100% Genuine Products. We guarantee 100% customer satisfaction if you have you have received wrong order or damaged product we will refund or replace at our cost. We do NOT accept return of opened products boxes. If you wish to return your order for any reasons including incorrect product received or you are not satisfied with your purchase, pl. remember to return un-opened and email us or call us before returning your purchase for a return authorization.